Care Free Homes received the LIVE UNITED Award during last night’s Live United Celebration, an annual event that honors the many individuals and organizations who support United Way of Greater New Bedford. Here was the introduction given to Care Free Homes by Allison Yates-Berg, UWGNB Vice President of Community Impact and Operations. 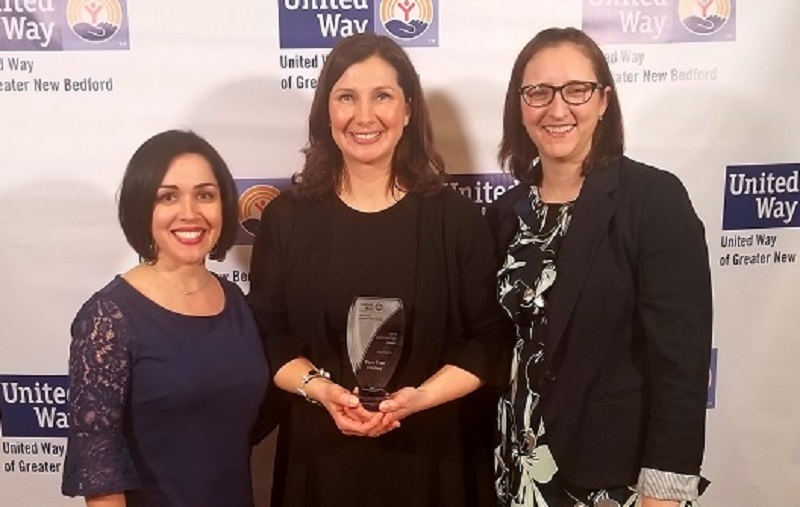 “The Live United Award has been awarded to individuals or organizations that go above and beyond and not only give, not only advocate, and not only volunteer- they do all 3! Care Free Homes Marketing Coordinator, Stephanie Pickup, volunteering with her 4 children at the UWGNB Hunger Heroes Project. promotions they are running, such as their New Year, New Roof Campaign. The family is always quick to volunteer at our events such as Hunger Heroes and rarely says no to another volunteer opportunity like when they volunteered this past summer at the Mobile Market – just about every week. We even joked that Stephanie became our Mobile Market queen as she became a huge advocate for the program and would recruit more friends and family to join her each week. Additionally, they are supporters of Live United 365 and Holiday Wishes. 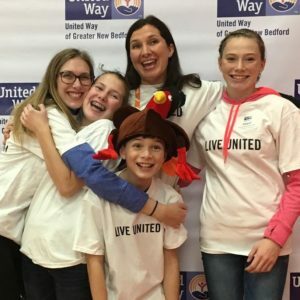 Care Free Homes is excited to partner with United Way of Greater New Bedford (see us in their 2016 Campaign Video) throughout the year and are happy to be a continued supporter of their fantastic community initiatives. Join us as we LIVE UNITED by volunteering your time, talent, and treasure with this wonderful organization. Register at Volunteer SouthCoast to sign up for the diverse collection of volunteer opportunities.